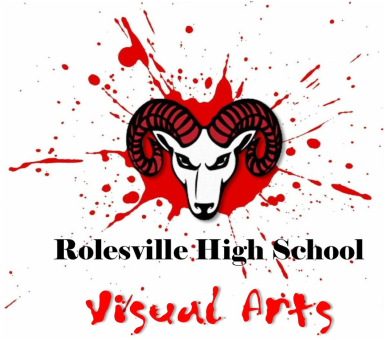 Welcome to Rolesville High School's Visual Arts Homepage. At Rolesville, we are interested in developing the entire artist. Courses are designed to develop the skills of the artist and to push them intellectually; guiding them to develop and nurture their creativity and problem solving abilities. RHS Visual Arts Program begins with the foundation and exploration of art and builds into more complex and more open-ended problems leading to more independence and personal voice. If you have any questions, or need to contact me, please fill out the form below. 8/27/18 I have moved my classes once again. This time we will be using Google classroom.